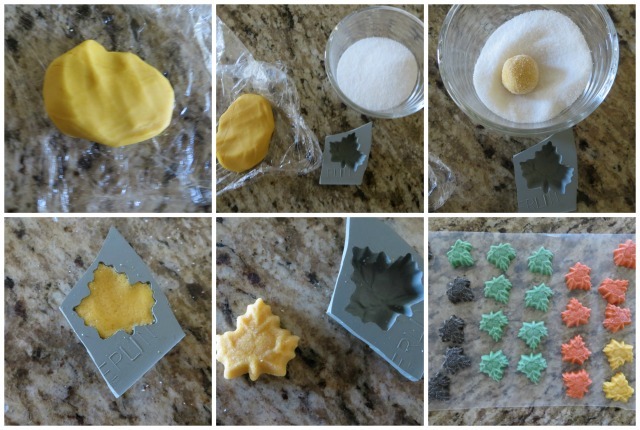 What do you do when you have a leaf shaped mint mold? Make cream cheese mints, right? I've got the recipe. Truthfully, I have no idea why I ever bought the leaf shaped mold in the first place... I'm sure I had a good reason. Because fall is in the air and my sister loves cream cheese mints, I decided this would be the route to take. Like, make cream cheese mints for my sister. What's better than raking leaves? Making leaves! So with a little food color, I got started. 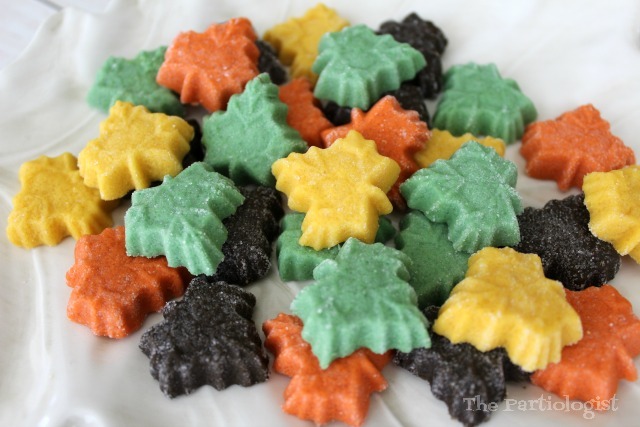 After they were all made, I wondered if I should have flavored them with maple flavoring instead of mint? You know they are maple leaves. Hmmm, I wonder how that would have tasted. I may never know. Mix the cream cheese mint mixture with gold food color. Shape into a small ball and roll in sugar. Press into the mint mold, turn the mold over and release. Make one or as many colors as you like. Looks like I liked four colors. Mix the cream cheese with the powdered sugar until completely blended. Divide the dough into portions for coloring. Add food color, one drop at a time, mixing until desired color. Roll into small balls, coat in sugar. Press in mold and remove. I'm sure your sister will love these! 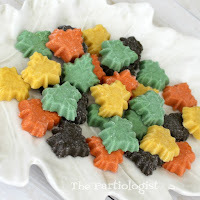 Those just look like fall...and I want to eat them all! Those are absolutely beautiful! I love those mints and I love Maple trees!!! If I had that plate of mints I would eat them all!!! 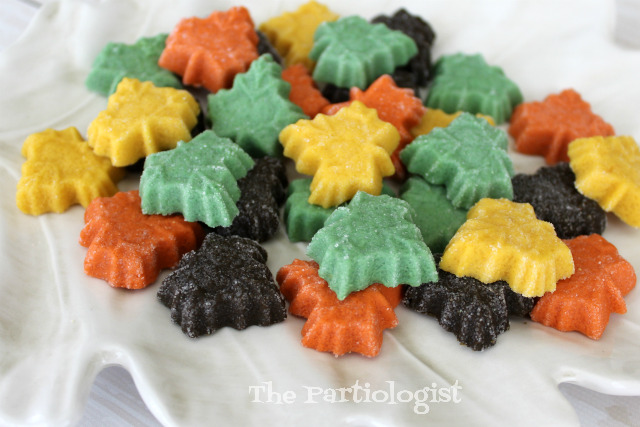 I have never seen fall colored mints and that is an amazing idea! They are soooo pretty! Thank you...Soon you'll be eating mints for sure!